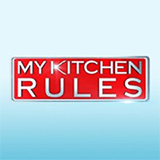 It's All Greek To Me is a TV show on Australian national television from Seven with an average rating of 4.0 stars by TVCatchUpAustralia.com's visitors. We have 3 episodes of It's All Greek To Me in our archive. The first episode of It's All Greek To Me was broadcast in March, 2017. Did you miss an episode of It's All Greek To Me but don't you wan't that to happen in the future? Please set an alarm and add It's All Greek To Me to your favourites, so we can remind you by email when there's a new episode available to watch. Completely free: handy! Find out the incredible story of how the kalamata olive made it to Australia and the meet the endearing Kosta and Koula. Join us for a look into traditional Greek culture as we cook dishes the way our mothers made them! The story of the owner of Kalymnos Pastries, George Diakomichalis, and his family story.